Ink Color BLACK /RED/ GREEN / GOLD /SILVER ETC..
Adopts hot stamping foils to print clear, easy drying, on tacky and indelible characters. 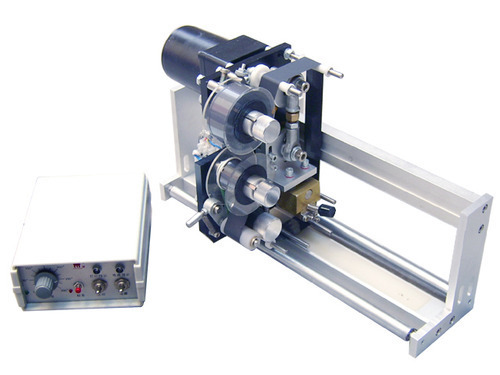 The print speed synchronous with packing machine, the coding results accurate and efficient. Cylinder: - Festo or SMC make. It is applicable to such intermittent packing machines as box-packed packing machines, grain packing machines,etc.